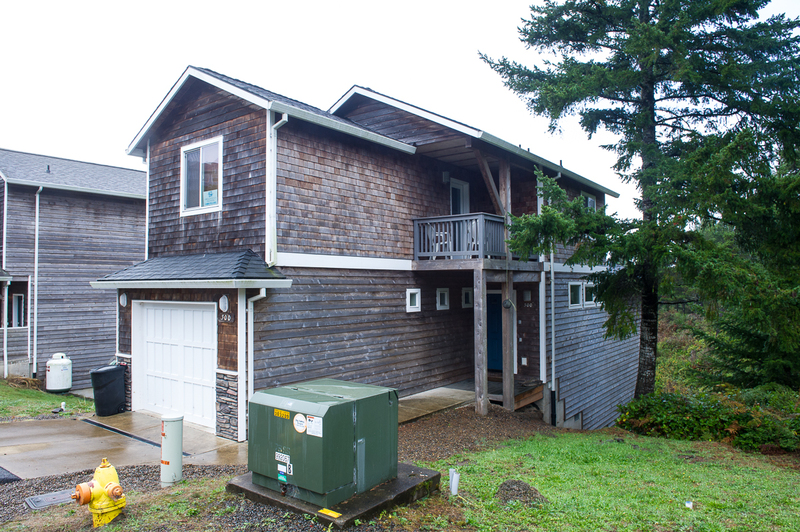 Ocean Pines in Oceanside is just over the hill from Tillamook. This newer home is as bright, beautiful and welcoming as they come. 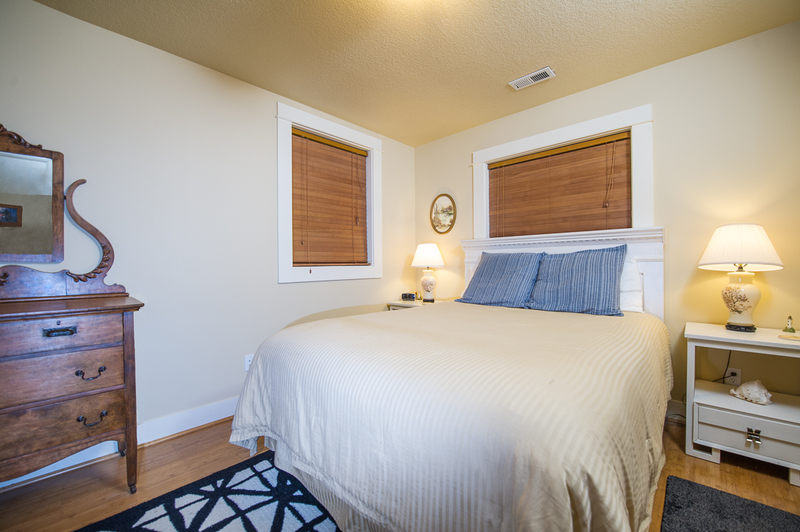 With three bedrooms and two and a half baths, this vacation home can comfortably sleep up to six guests. The main level of the home is the great room which consists of the living room, dining room, powder room, and a gorgeous kitchen. 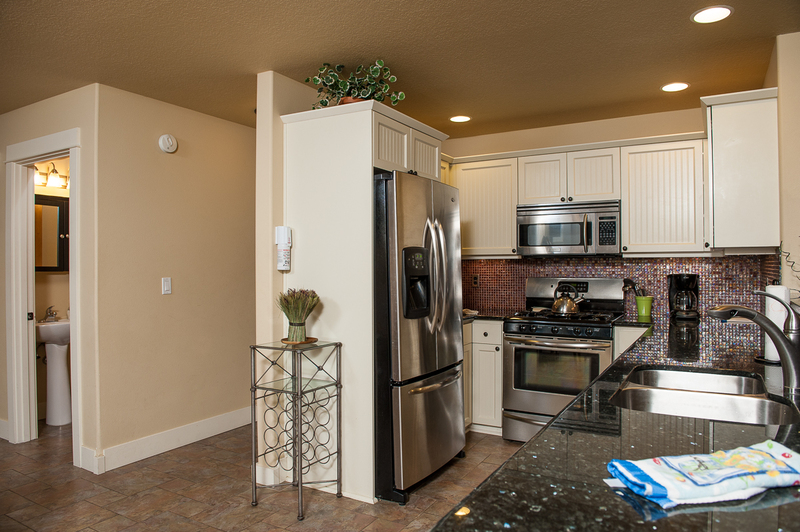 This kitchen comes complete with all new stainless steel appliances, granite counter tops and beautiful tile work. 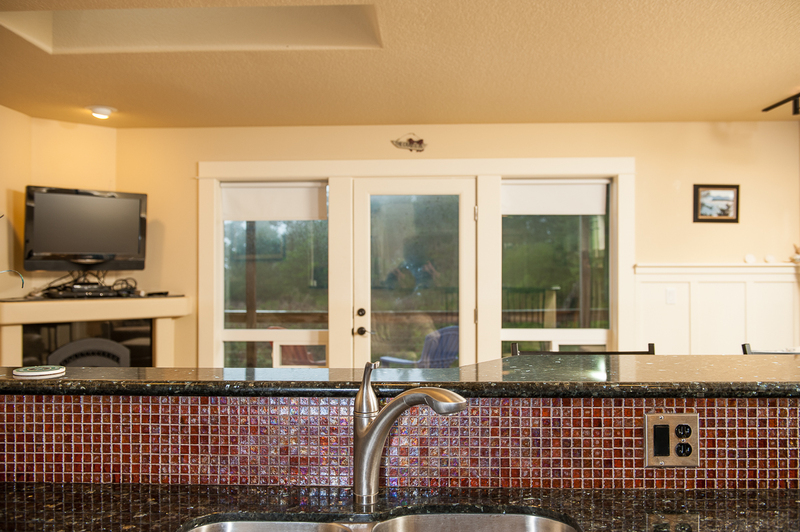 The kitchen is sure to become one of your favorite areas in this vacation home. 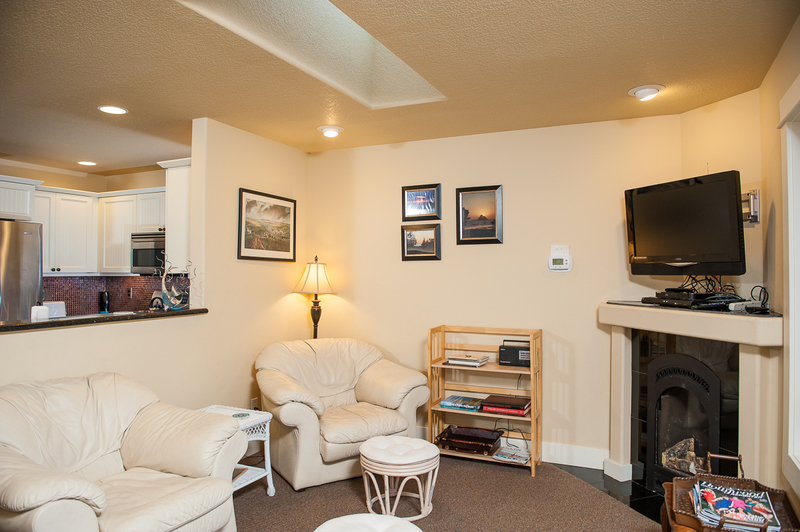 The comfortable living area has a large flat screen TV with satellite and a DVD player. 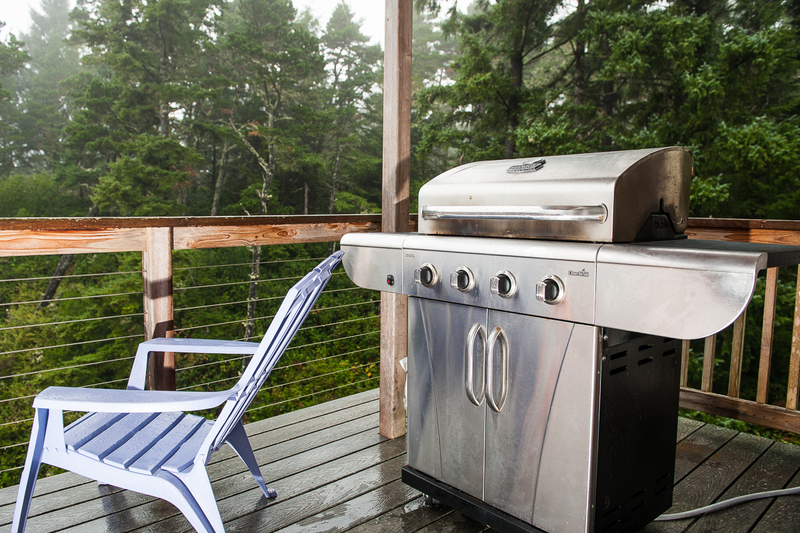 There is also a quaint deck on this level for you to barbeque up some nice steaks or seafood while enjoying the sights and sounds of nature. 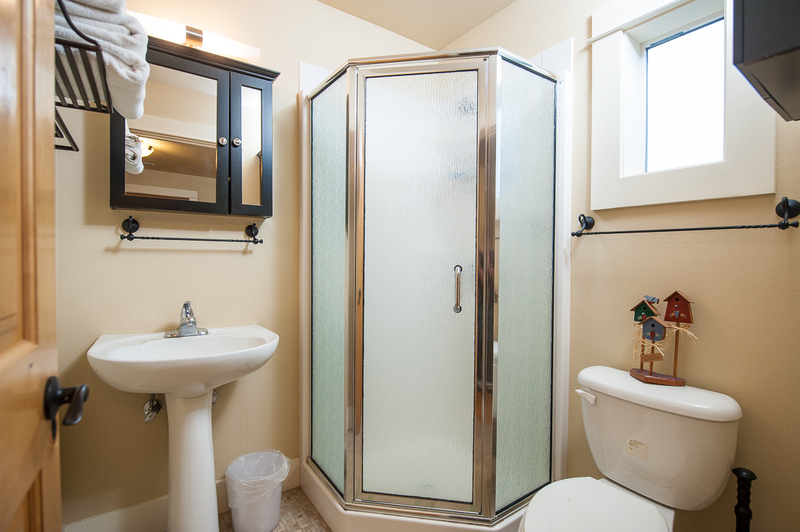 The upper level of the home is where you can find the master bedroom with a queen bed and a walk-in shower bathroom. 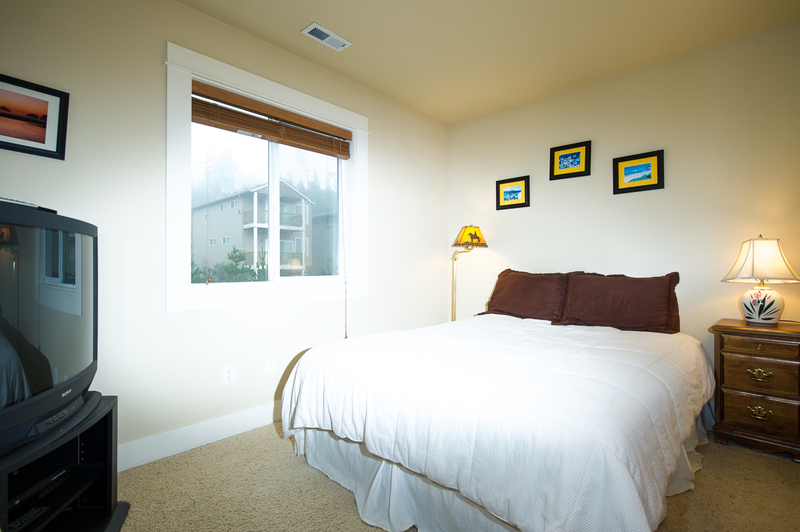 The two guest bedrooms also have queen beds while one of the guest rooms also has a TV with satellite and a DVD player. 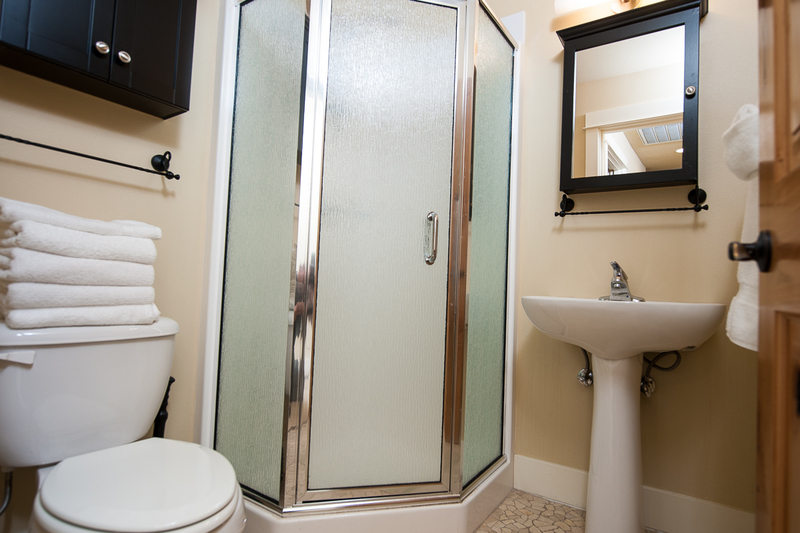 The hall bathroom has a walk-in shower. The second level also has a deck for you to step out on to get a better view of the Pacific Ocean. 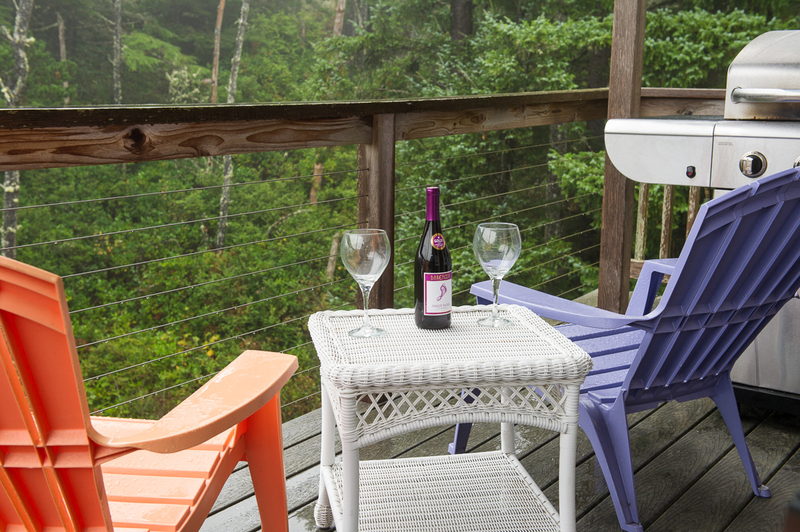 This vacation home is located in a wooded setting with beautiful but distant ocean views. Oceanside is a quaint, quiet little beach town that not many people know about so it's a great place to take a peaceful vacation. Once on the beach, you can walk north to Oceanside, or south to Netarts. You're just ten minutes from Tillamook where you can take a tour of the Tillamook Cheese Factory and get some tasty samples of not only cheese, but fudge and ice cream as well. 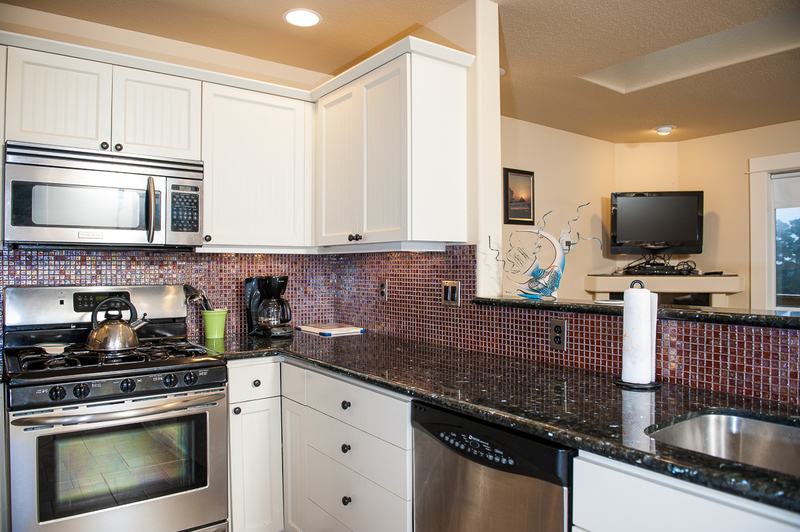 Explore the coast today at Ocean Pines with Oregon Beach Vacations! "This house is modern, clean and cozy. A quiet neighborhood not far from the beach. Though you can’t see the ocean, the porch overlooks a peaceful and relaxing gully - a great place to relax and sip some coffee. We would definitely come back. " Always impressed with Ocean Pines. "I called the day my husband needed to check in to this home, which we have stayed at multiple times going back to Oregon to visit his family. With such short notice Oregon Beach Vacations was able to make this happen, and he checked in to the home within in a couple hours. The status of his trip was unexpected due to a family circumstance, and they were understanding, concerned and thoughtful. The house is always immaculate and the location is amazing. Every experience is great... this past experience with customer service was more than I could have expected. " "Hello Jenna, Thank you for your review. We are glad to see that you enjoyed your stay at Ocean Pines. We are glad that our office staff was able to help you and your family book this home last minute. 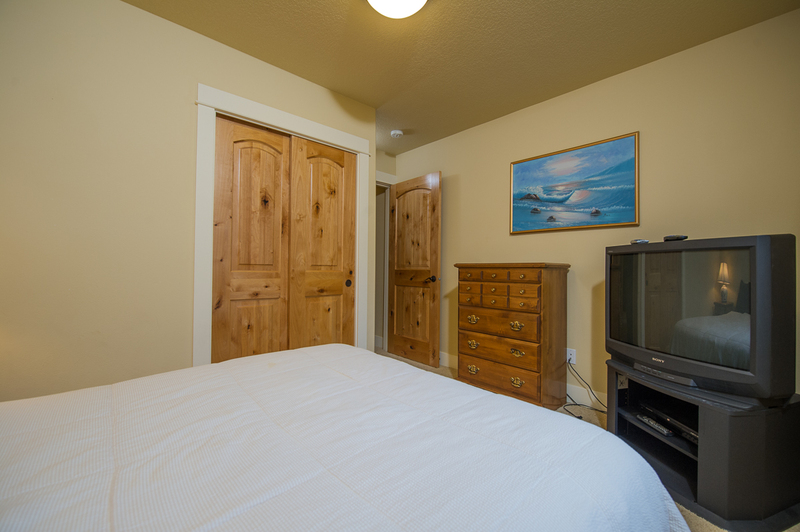 Thank you again for your review, and we hope to have you back again soon on the Oregon coast." "The house is very clean, very quiet area. beautiful surrounding. Oceanside right up the street. " "Hello Tammy, Thank you for your review. We are glad to see that you enjoyed your stay at Ocean Pines. 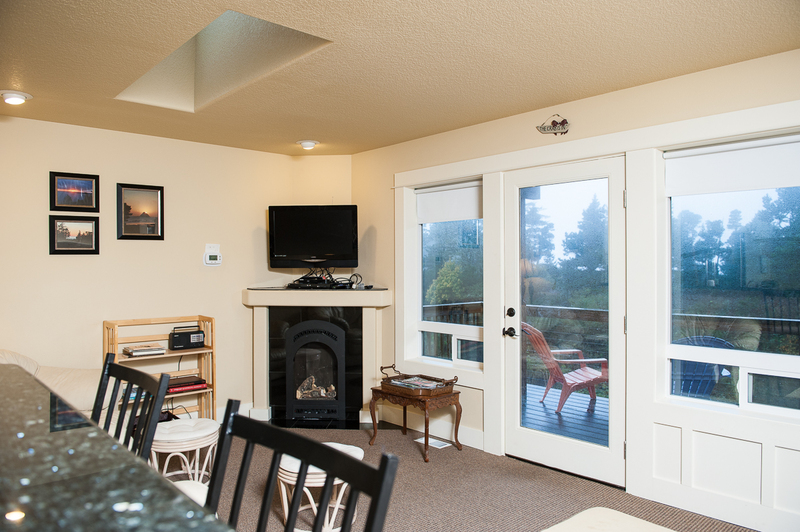 We hope this means you'll be back again soon for another great stay on the Oregon coast." "Perfect location for us, close to family. House was very comfortable for 4 adults. " "Hello Pamela, Thank you for your review. We are glad to hear that you enjoyed your stay at Ocean Pines. We are happy to know that the home worked well for everyone in your party. We hope this means that you'll be back again soon." "We had a great time in this cozy beach home! 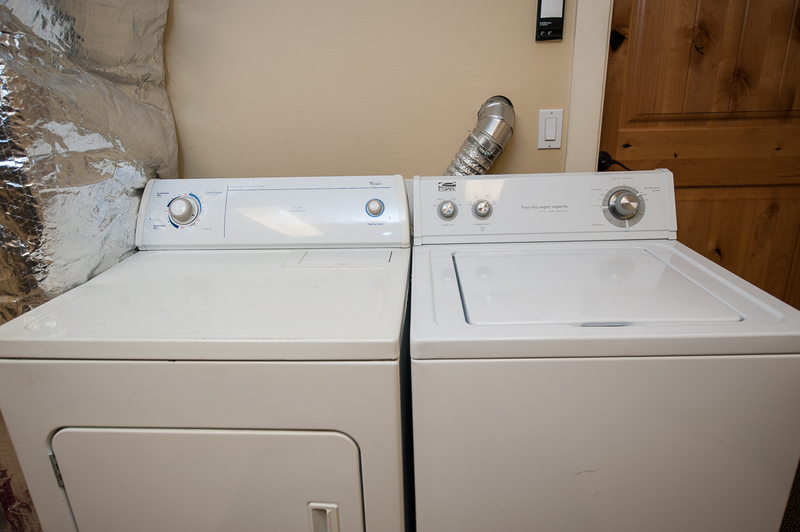 It was generously stocked well-kitchens and baths both, beach toys washer and dryer and barbecue too! On a quiet dead end street-we could hear the ocean through the trees softly at night! Guys fished and got loads of crab and salmon!! Us girls had perfect walking the beautiful in crowded beaches -both Oceanside and cape Lookout! We drove up to explore the shops in Cannon beach one day and down to have lunch in darling Neskowin another! Cheese factory and tillamook has stores and only a few miles away too! We plan to come back every summer -"
"Hello Deanna, Thank you for your review. We are so happy to know that you all had a wonderful trip to Ocean Pines! It sounds like the dream vacation most people hope to have! Enjoy all of that salmon and crab, and we look forward to serving you again on the Oregon coast next year!" "We had a wonderful time at the home. It was stocked as a normal home and there was plenty of cookware, bedding, supplies, etc. We had a wonderful time in this beautiful home!" "Loved our time here. Very comfortable and fully stocked. My only complaint is that our time was too short. " "Clean and comfortable. We so enjoyed our stay in this house. Plenty of room for all of us and well stocked. " "Cindy, thank you for taking time to send in your review of Ocean Pines. 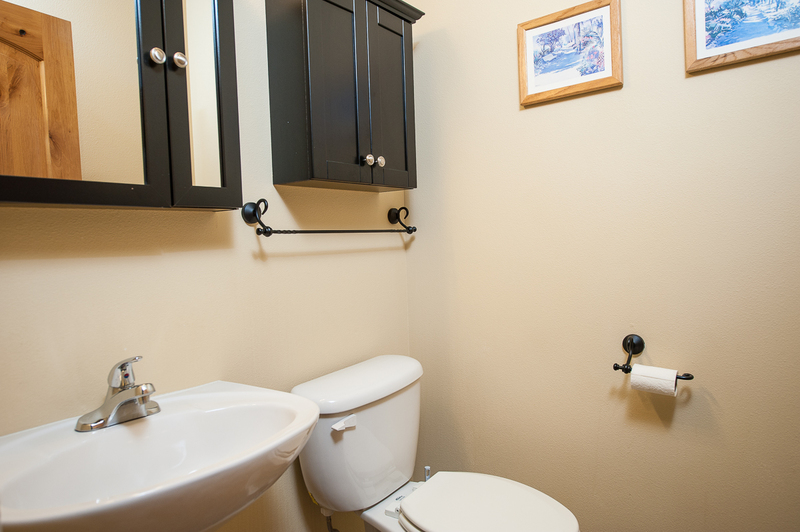 We are very pleased to hear you enjoyed your visit and found the home to be clean and comfortable. The location is in a laid back, quiet area so one can kick back and enjoy the quiet, yet be close to the beach. Hope you and your guests made memories to share among one another and friends for years to come. For your next coastal getaway we hope you will think of Oregon Beach Vacations. " "Very comfortable and clean. Easy access to beach/parks." "Hello Kathleen, Thank you for your review. We are glad to see that you had a good stay at Ocean Pines. 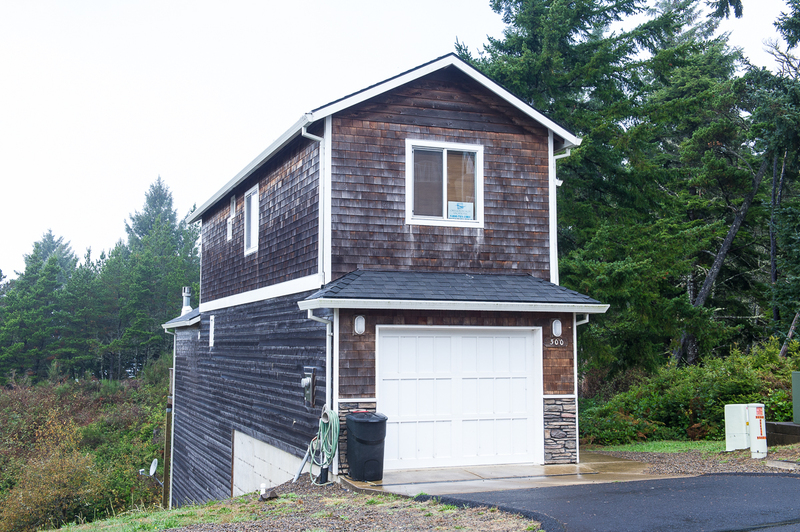 We hope to see you back again soon for another fun getaway to the Oregon coast." 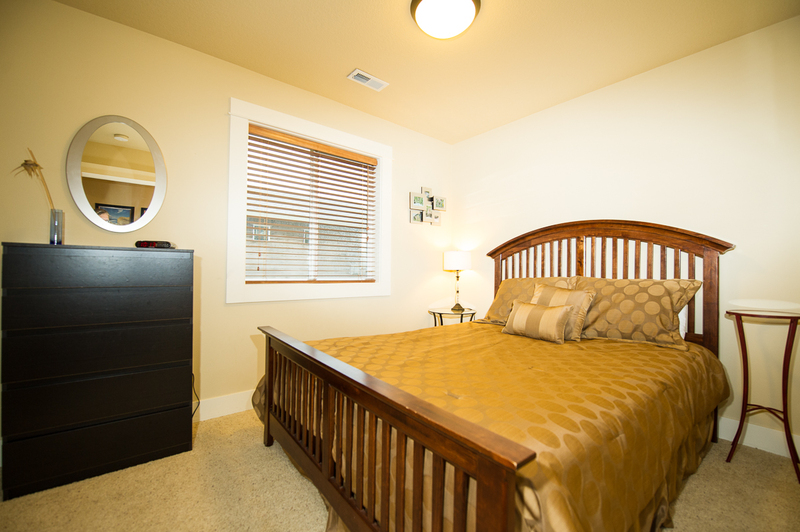 "Cozy yet spacious and very comfortable! My son came from Phoenix, AZ , my daughter, her husband and baby came from Everett, Wa. We all met at Ocean Pines and had a wonderful relaxed 4 day vacation! Perfect! " "We had a great stay. Property was in top shape. Oceanside location convenient to exploring three capes and nearby towns. You will need to drive to access beach which was OK with us. We would love to rent this next time we vacation in Oceanside." "Hello Douglas, Thank you for your review. We are glad to see that you enjoyed your stay at Ocean Pines. We hope to have you back again soon on the Oregon coast." 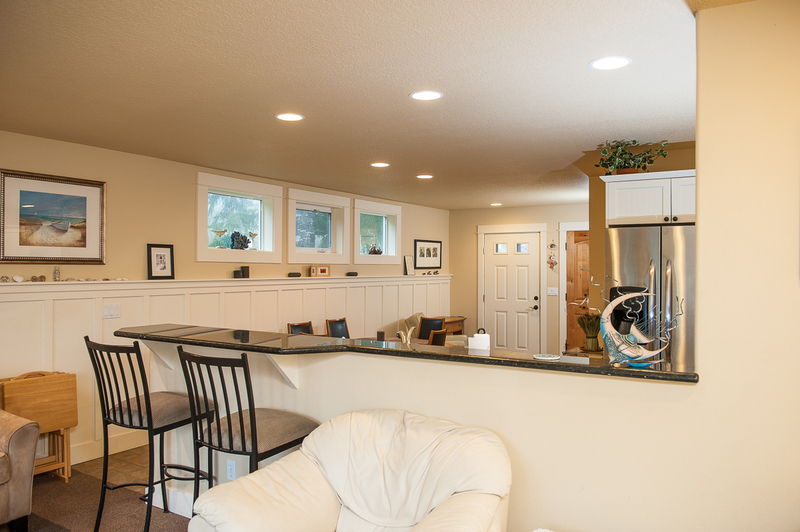 "This home was a great size for our family of 5. It wasn't super clean and there were several little quirks in the craftsmanship of the home, but we loved the location near the 3 capes and the beach access was a 1/4 mile drive away ---walking wasn't ideal for a family with little ones. " "Hello Sarah, Thank you for your review. We are glad to see that you enjoyed your overall stay at Ocean Pines. We are sorry to hear that the unit wasn't as clean as you were hoping. We would have loved to send housekeeping back out to the home to clean it again for you. We hope to have you stay with us again soon on the Oregon coast. Thank you again for your review." 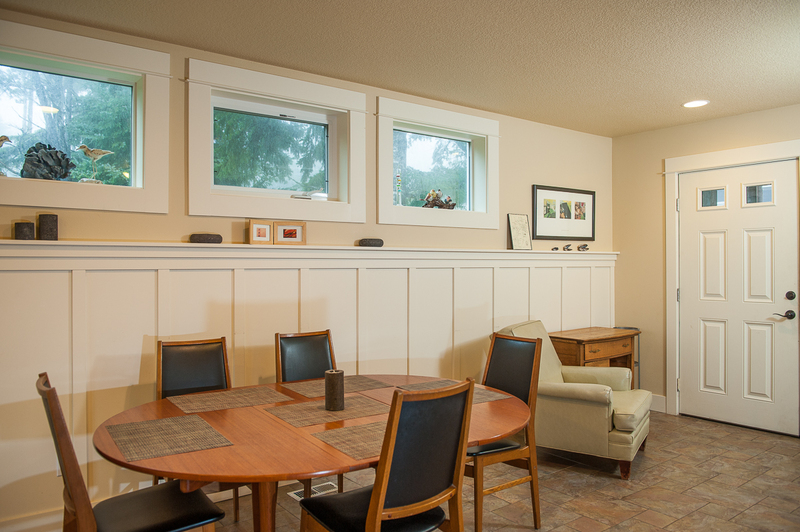 "Great space for a group of friends or small family gathering. " "Hello Elke, Thank you for your review. We are glad that you enjoyed your overall stay at Ocean Pines! 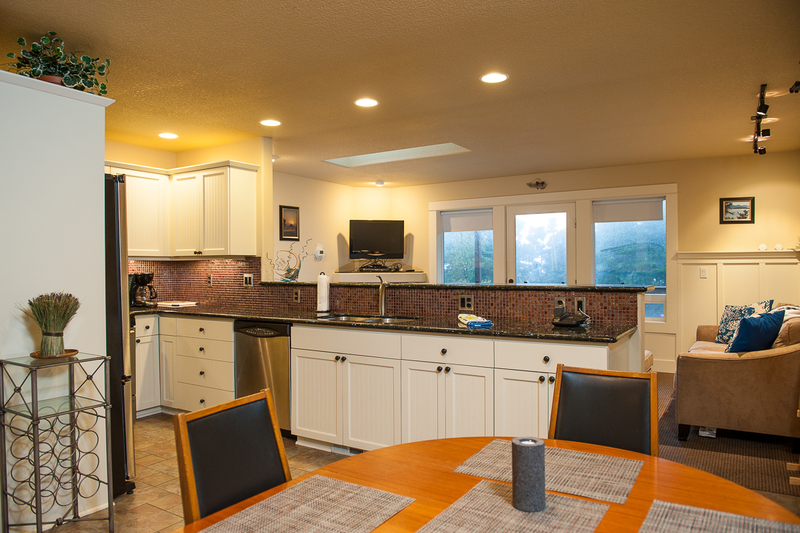 We hope to have you and your family back again soon on the Oregon coast for another fun trip." "This house was nice and newer. Two things that were disappointing and keep us from coming back to this location. #1The beds are very uncomfortable. It was two couples on this trip and none of us got any sleep. #2 Every dish we touched was dirty. " "Hello Kamiah, Thank you for your review. We are sorry to see that you did not enjoy your stay at Ocean Pines as much as you hoped. We are sorry to hear that the beds were not comfortable and the dishes were dirty. We would have gladly sent housekeeping back out to the home to rememdy this for you. As for the bed issue, we can let the owners know and ask if they would like to replace them. Thank you for bringing this to our attention. We hope to have you stay with us again soon on the Oregon coast. Thank you again for your review."